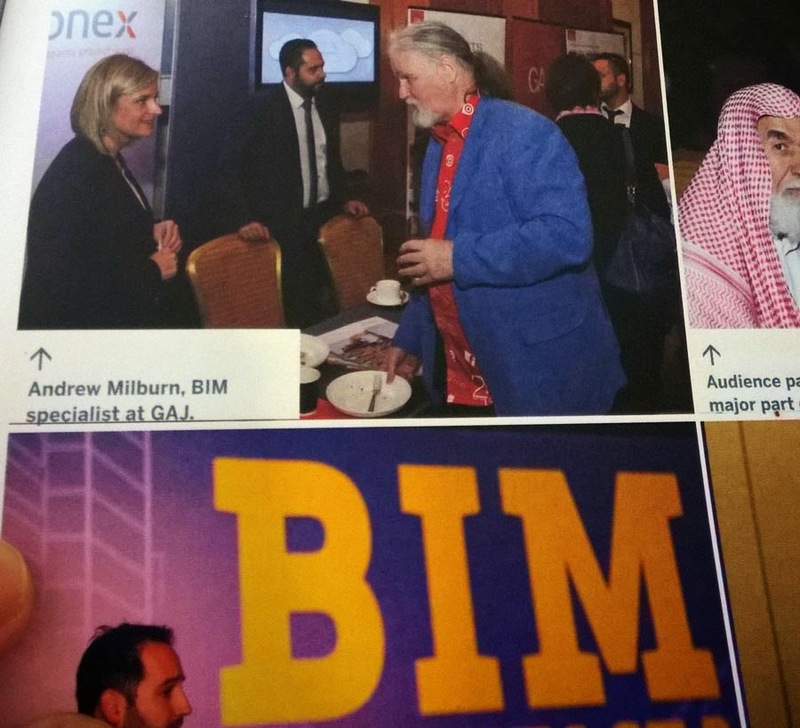 This is part 2 of a BIM Breakfast talk given on 24th November in Dubai. You don't have to be a gifted artist to gain benefits from visual thinking. This example is from Newton's scientific notes. Even with his relatively crude drawing technique the idea of light being split into a spectrum of colours as it passes through a prism is conveyed much more vividly than would be possible with a purely verbal description. You don't have to be a super-geek to do great things with BIM. It's the thought that counts. Newton used drawing to clarify his understanding of optics, the relationship between white light and the rainbow colours of the spectrum. Clumsy technique but ground breaking ideas. More examples from non artists. Now we are entering the age of the industrial revolution, an explosion of software and hardware that ultimately led to today's digital world. Stephenson's rocket converted fossil fuel into forward motion and enabled the first railway line that carried cotton cloth from Manchester Mills to the port of Liverpool. 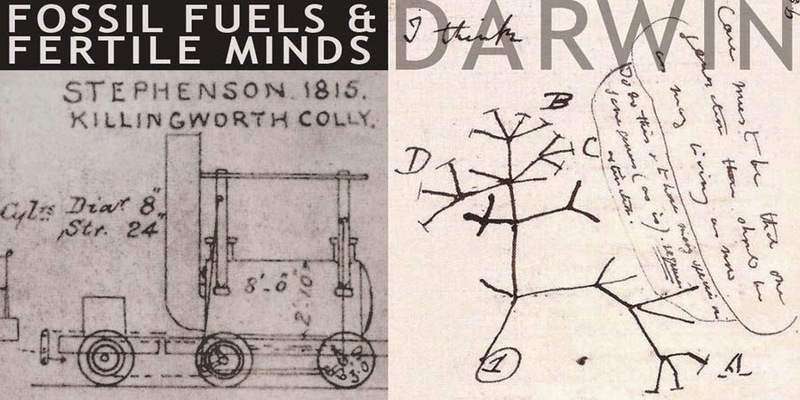 Darwin was also interested in fossils, but for different reasons. Notice the phrase "I think" at the top right. Here he is thinking aloud by means of a diagram. Once again, the technique is crude, but the power of visual thought is crystal clear. Looking back for a moment to Durer and a pencil drawing of the great Humanist thinker Erasmus. 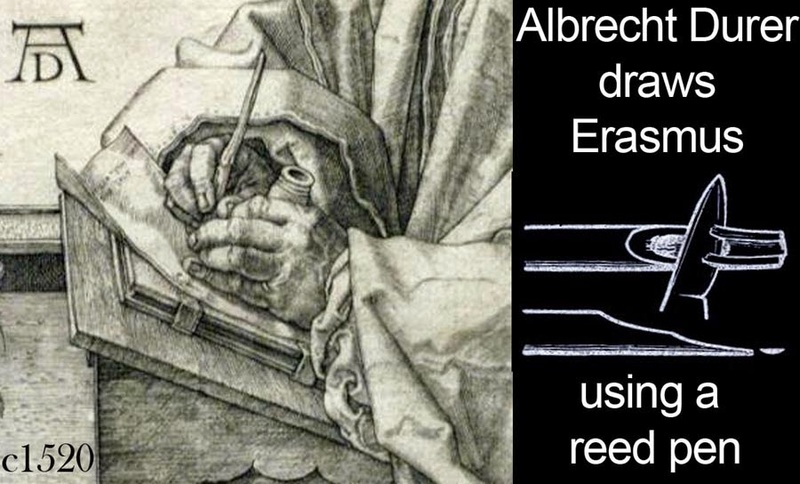 The technology he is using to capture his thoughts before they slip from memory dates back to ancient Egypt: a reed cut by a knife and split at it's end to allow the ink to flow. Notice how he holds the ink pot in one hand to allow regular dipping of the pen. Here is a piece of hardware that lasted 3000 years, from ancient egyptian times to the beginning of the 19th century. Then we started to burn fossil fuels, using up capital that had sat in the ground for 200 million years in the space of 200. Eating up a million years every 12 months. Certainly we are the cleverest animals that ever lived. The industrial revolution swept swept ancient traditions away overnight. Mass produced steel nibs poured out of Birmingham in their thousands. No more reeds or goose feathers. And here it is, now a museum piece. It's just a reed pen made of thin steel sheet, but you can make them by the thousand and ship them out in small boxes. They last longer, create thinner and more consistent lines. All this was made possible by digging up coal. Fossil fuels that had taken hundreds of millions of years to form, burned away in a few decades. Only recently have we started to understand how rapidly we are consuming our natural capital. And yet we continue to behave as if continuous growth and innovation was the answer to all our dreams. Bigger, better, faster has become an end in itself. We all know that it is not sustainable, but we continue to put on our business blinkers and gallop off into the future. And so to the twentieth century and technology has mushroomed. Human population has exploded and we now dominate the earth like no species has ever done before. The most successful species the world has ever seen. But for how long? We all know that it can't last for ever? We have become addicted to growth and change. Bigger, better, faster. It's like a drug. We don't know how to stop. Don't get me wrong, I love computers. I can't wait for the latest version of Revit to come out each year. And I enjoy using BIM to deliver projects for GAJ. But at the back of my mind I know there's an elephant in the room. 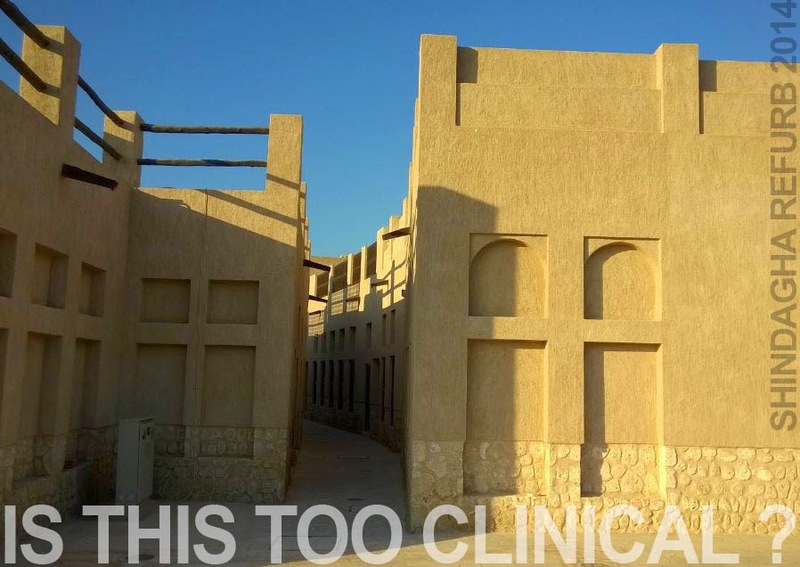 And in my spare time, I try to use BIM in unusual ways, to connect back to the ancient tradition of visual thinking and artistic expression. So here are some of my attempts to use BIM as a pencil. I don't have an answer to all our problems, but I do have a suggestion. 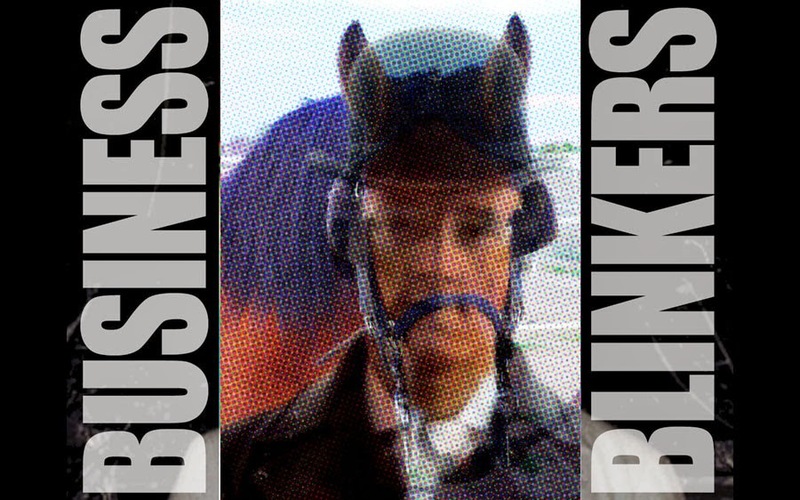 Take off the business blinkers, stand back and take a broader view. 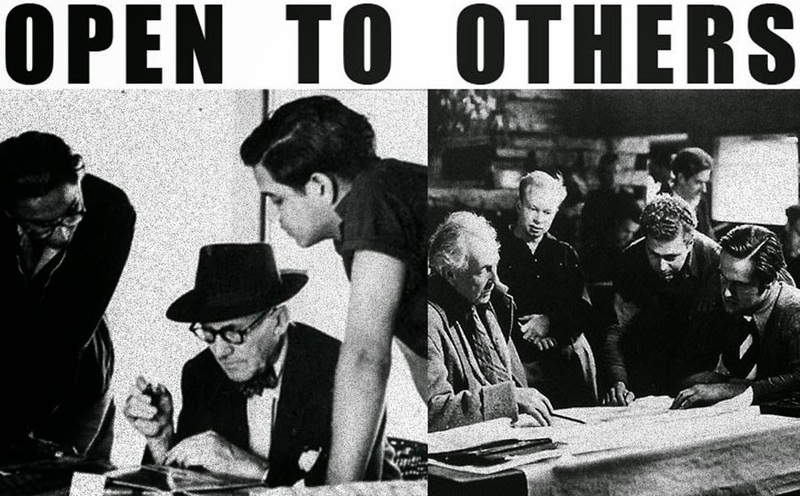 Take a cue from great artists of the past. Use BIM like a pencil. Don't limit it's use to the narrow confines of business contracts. 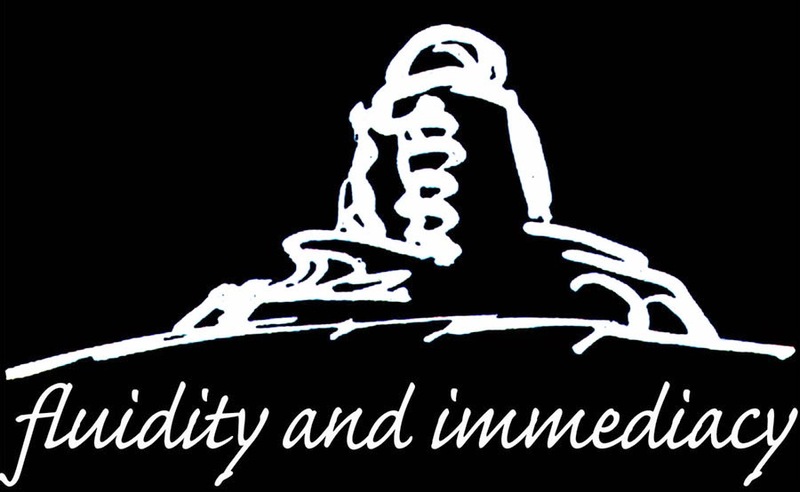 Treat it as a medium that can range across the whole gamut of human thought, from art to science to education, from historical research to idle doodling and optical illusions. Let me give some examples from my own work. 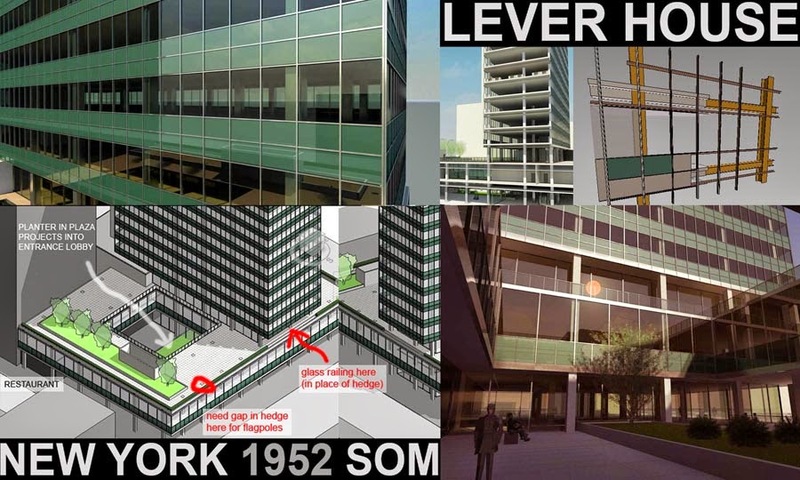 Lever House is a modern movement classic, built when I was a toddler. 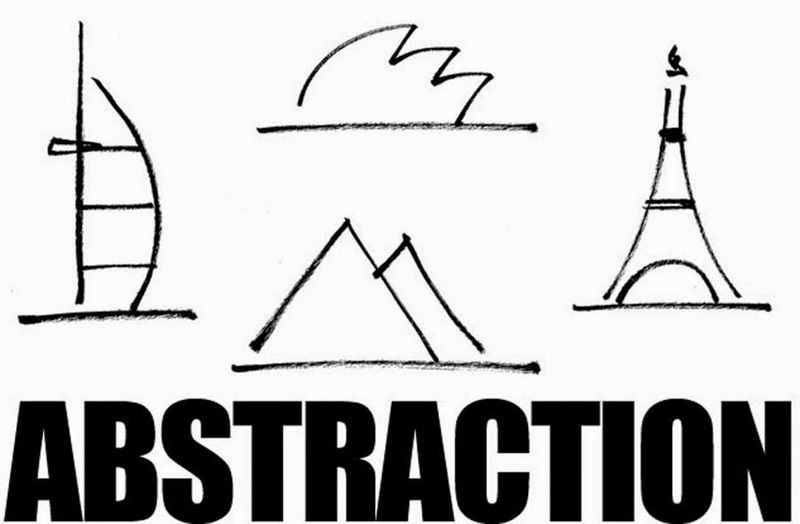 Abstraction & simplification. How far can you boil down the idea behind a design concept without losing its essence ? 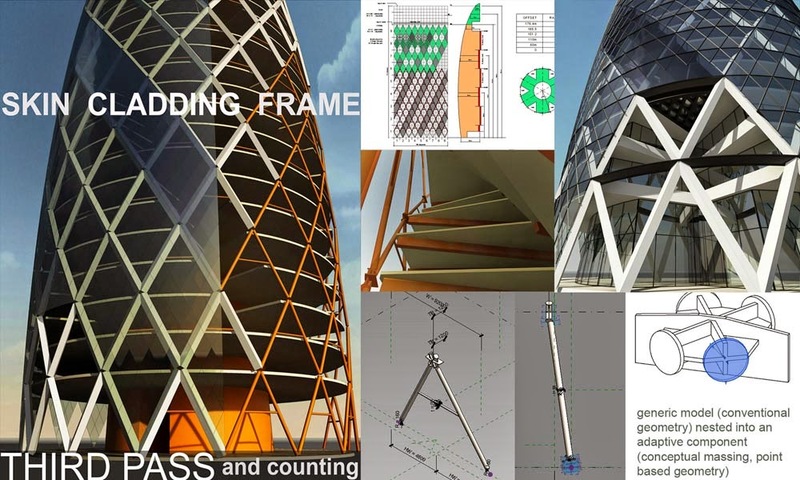 How would you tackle this challenge in a BIM way ? 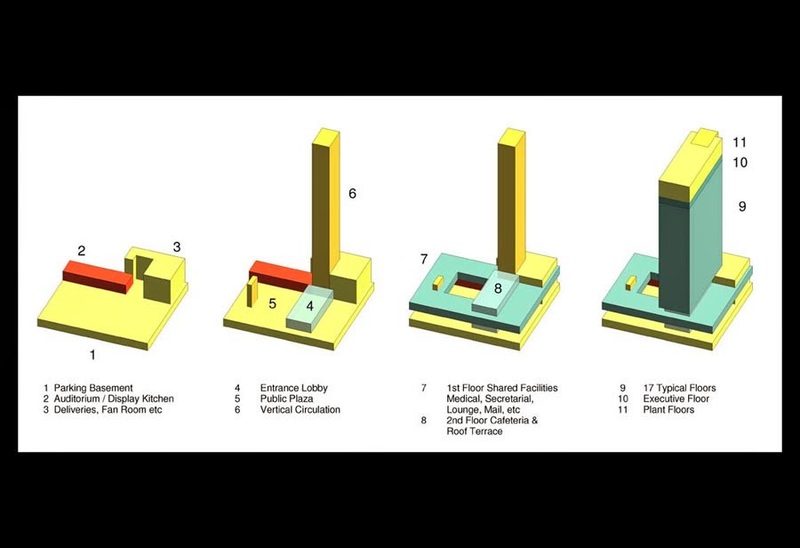 Drawing/modelling to understand how a building works. Asking questions, probing the finer details. Understanding the kit of parts, sequence of trades. 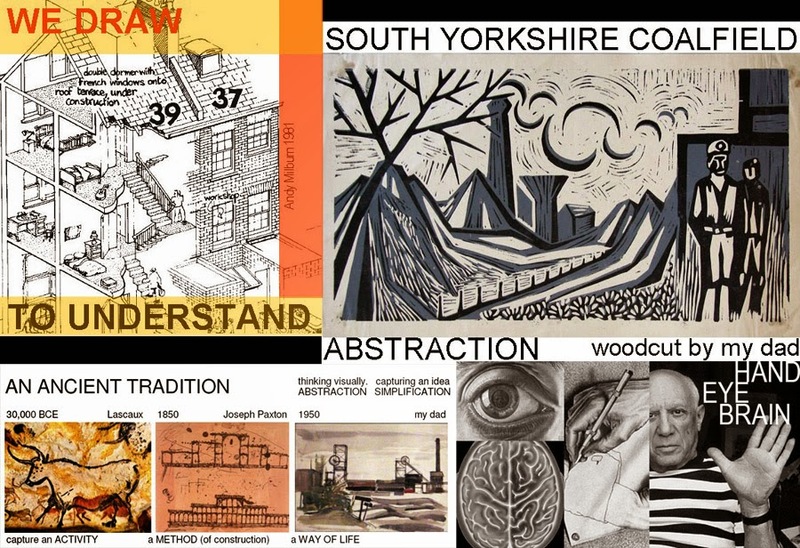 What can a sixty year old building teach us ? 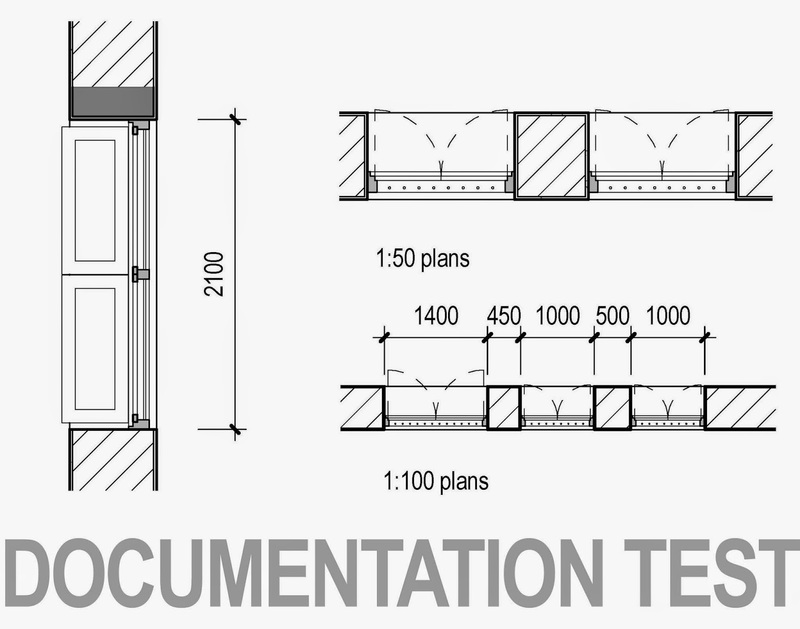 BIM is a terrific way to find out. Casa del Fascio, a controversial tour de force by a young Italian idealist, carried away by nationalist rhetoric. I used a Chess board analogy to illustrate the sequence of moves by which a regular grid becomes inflected to create a more complex functional arrangement of spaces. Note the interplay of structural frame and infill panels, transforming a box into a sculptural form that changes as you walk around it. One of the few 1930s buildings that looks as if it could have been designed yesterday. I have been developing this one as an exercise for students of architecture who wish to aqcuire some software skills at the same time as investigating the subtleties of this deceptively simple office building with its triangular voids that spiral around the outside connecting office floors together and allowing light and air to penetrate and circulate. Instead of teaching students about BIM, perhaps we would be better encouraging students to use BIM as a thinking tool via self-directed research and exploration. Baroque architecture is known for its complex geometries. In this study I used the parametric modelling capabilities of the software to investigate the underlying relationships, searching for an appropriate level of simplification. 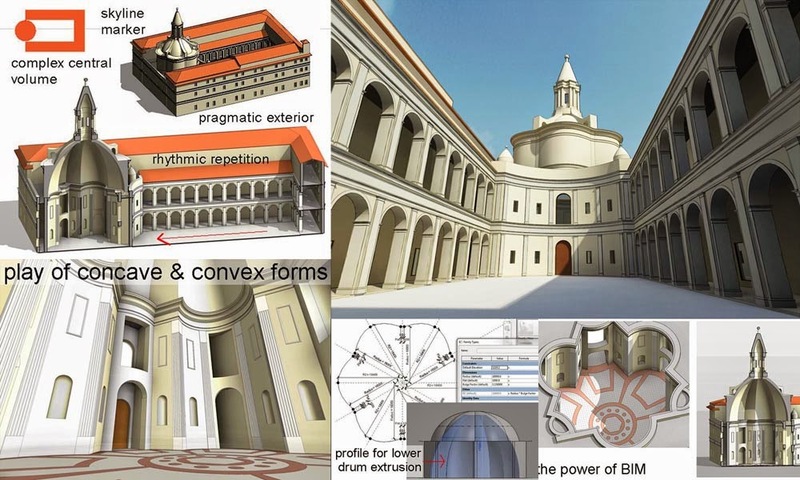 I believe that hands-on exercises like this, where students use BIM tools to explore architecture of the past would have much more value than a series of lectures about "the role of BIM in the modern construction industry". 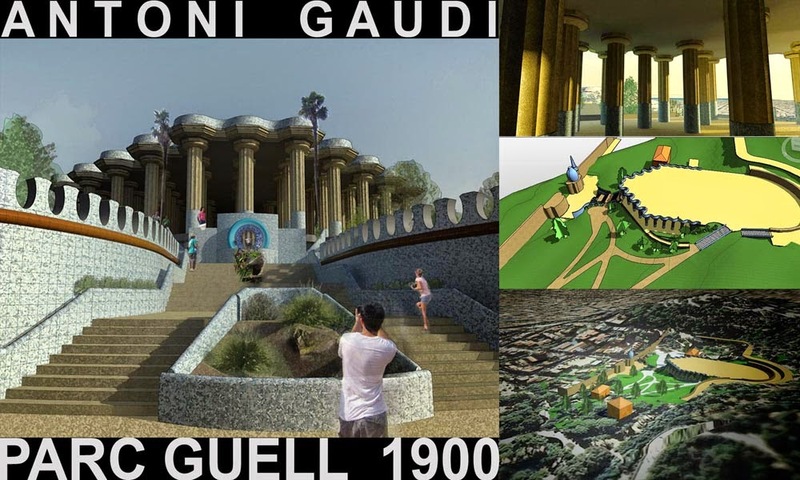 This is a place that I visited in the late 1970s and it was a fascinating experience to recreate it as a digital model. I discovered regularities in the setting out of the seats that had never been clear to me until I undertook this exercise, using BIM like a pencil to take me on a voyage of discovery. I seriously need to start my weekend, and there's another BIM breakfast coming up that I have to prepare for, so I'll break it off there and finish this rambling rose off next week. I'm hoping some of this strikes a chord with somebody out there. 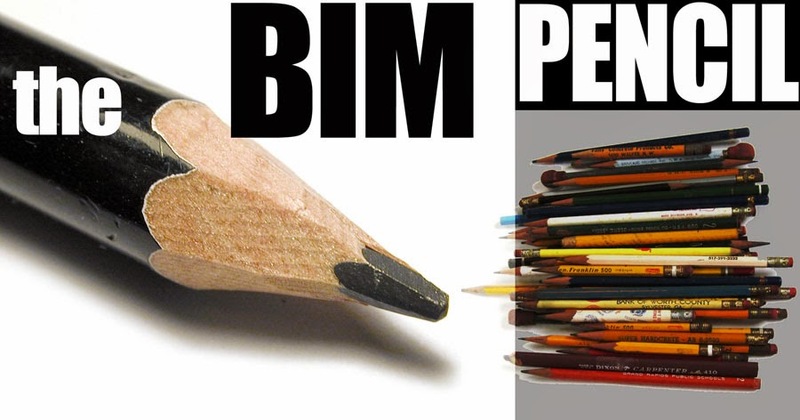 I think we should treat BIM like a pencil. Anyone can pick up a pencil and adapt it to their needs. It's a very flexible tool. We can use it to write a shopping list, to draw a map, to write poetry. It is equally at home in a board room, on a building site, in a classroom or a research laboratory. But if we want BIM to be as flexible and inclusive as a pencil, we might have to cast off our business blinkers. Much of the discussion about BIM is dominated by business jargon: ROI, competitive edge, BIM protocols & execution plans, risk management ... all that bureaucratic stuff. I'm not saying that it's wrong or unimportant, just that the focus can get a little too narrow. Beware of tunnel vision. I grew up with a pencil in my hand. My dad was an art teacher and he introduced me to the grand tradition of visual thinking that stretches back thousands & thousands of years. 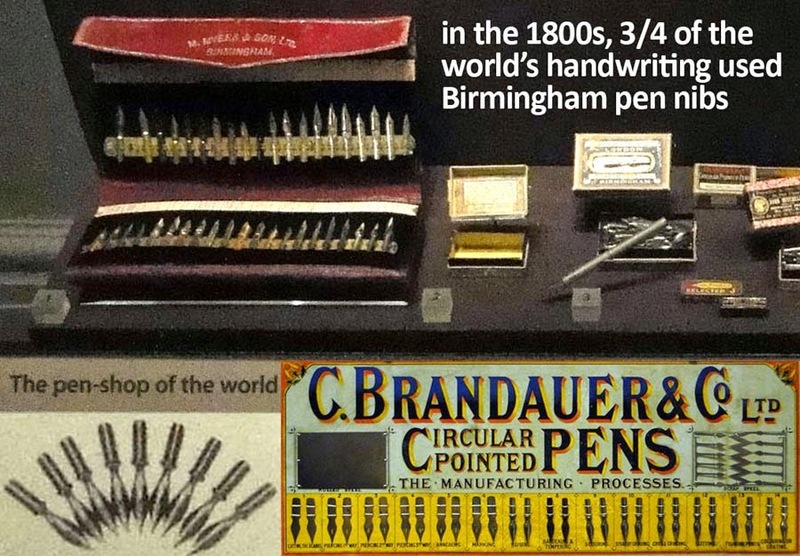 When I use the word pencil, I'm really referring to that grand tradition. There is a special synergy that takes place between hand, eye and brain when we draw or paint. I believe there is much to gain from connecting BIM processes to that intuitive, visual, problem-solving side of our brain. When we used pencils to design buildings we didn't feel the need to go round saying "I've just bought these new pencils, they're really going to help us grow the bottom line" We might say "I've got this new pencil, it really feels great and the quality of the line it produces is superb." So I'm going to invite you to take off the business blinkers for a few minutes and imagine that BIM is part of the age old tradition of visual thinking. Let's start by reflecting on the age of hand drafting for a moment. It was slower of course. For all but the very earliest stages of design thinking it can't compete any more. But were there any advantages ? Can we learn something from the past ? First of all, it was a much pleasanter way to spend your day and rather healthier in my view. 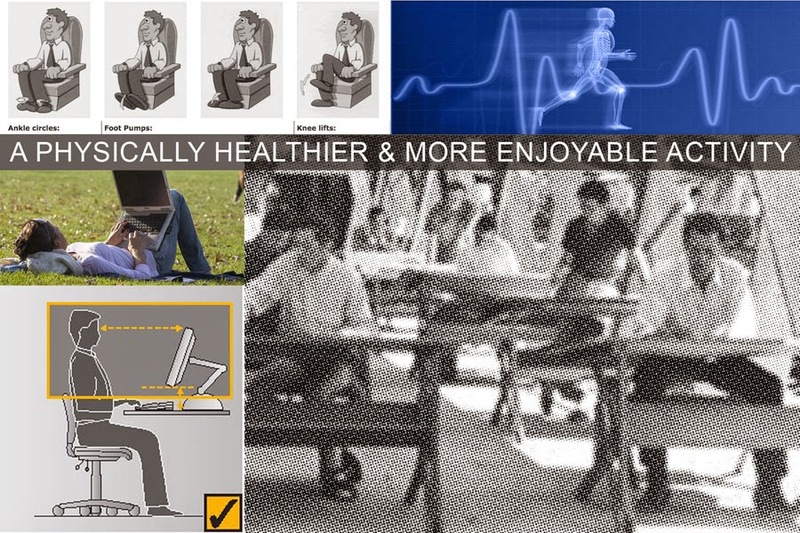 When we worked at drawing boards could vary our posture more, stretch our limbs, stand up for a while. There was a craft element to the work. You could take a pride in the quality of your linework, the rhythm of your hand written notes. There were little rituals to do with maintaining your drawing tools and keeping the paper clean. It was much easier and more natural to take a step back and review your work from a distance, both literally and metaphorically. Every time you went for a cup of coffee you could pause a couple of metres away from your board and cogitate while you sipped away. 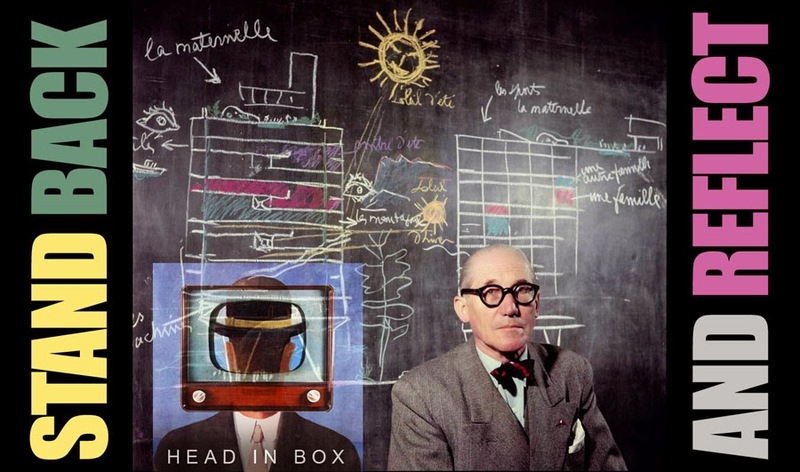 These days it's as if we have our heads stuck inside a box. Put the earphones on, get into the zone. 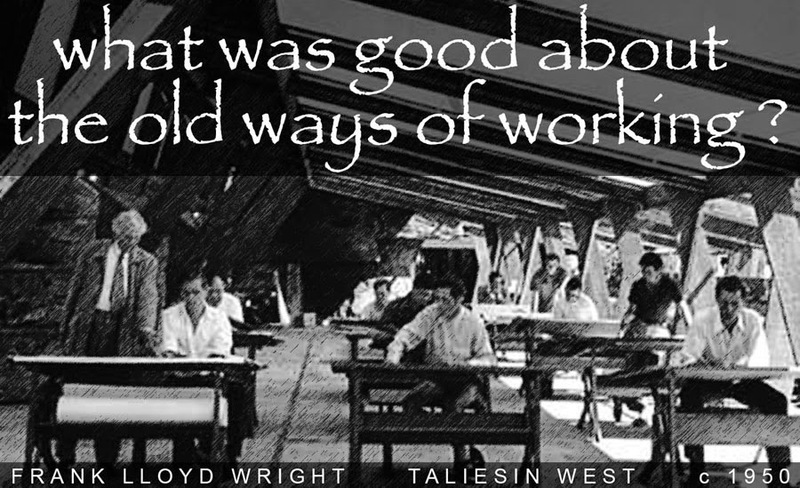 We tend to leave our work behind when we step away. Back then you would stand back a couple of metres with your cup of copy and get a fresh perspective. And this same pauses acted as an invitation for your neighbours to sidle up and throw in a comment or two. Casual sharing was just built in. These days you have to print out a few sheets and invite people over to a breakout space. Or you might have big screens installed, perhaps even expensive digital white boards. All good stuff but just a trifle forced compared to the olden days. It's often said that your weaknesses are also your strengths. The lack of an undo button was a major pain. 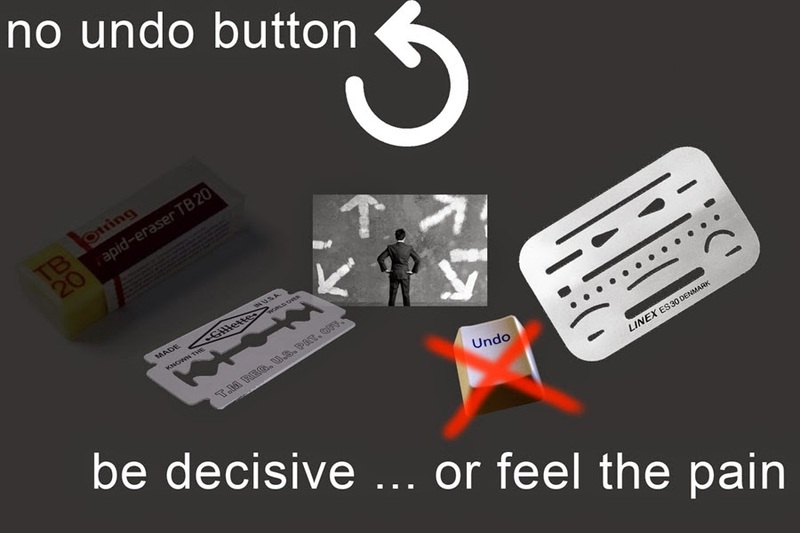 Lots of workarounds: scratch away with razor blades, battery powered erasers with thin metal shields to mask out the stuff you wanted to keep. The positive side of all that was that we had to be decisive. No second chances. Get it right ! And clients couldn't get away with changing their minds they way they do today. Just wasn't possible if you wanted to get your building built. And I am constanly struck by how much more is demanded in terms of output with each passing decade. Hundreds of sheets where we used to be satisfied with a couple of dozen. 20 or 30 photorealistic renders where you would have been lucky to get one hand drawn perspective. Fine, but are the resulting buildings any better as a result ? I'm not sure they are to be honest. This one is beyond dispute. We may have touch screens and tablets but nothing yet comes close to the tactile fluency of pencil and paper. Sit around a table with sheets of tracing paper and ideas flow thick and fast. That hand-eye-brain thing has been going on for thousands of years. It's a bit like body language or eye contact. You can't beat it for rapid effective communication, brainstorming, problem-solving. Yes there are wonderful things that BIM can do for us, insights that were unavailable before, but we still lag on the fluency side. I hope that will change. I just talked about standing back from the drawing board. What I want to do now is stand back and look at the history of drawing, very briefly. 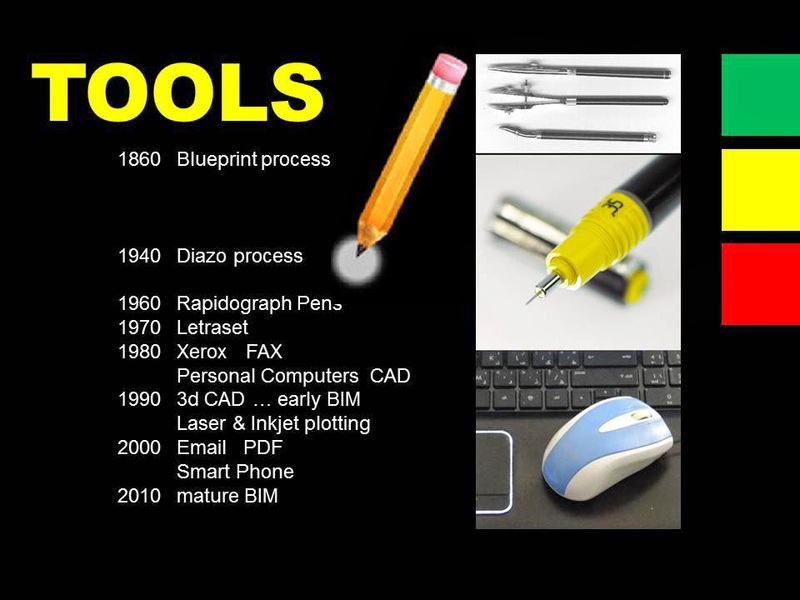 This first slide shows some of the drawing tools that have come and gone in my lifetime. Rotring pens were actually invented when I was a teenager and I did once own a set of the caliper-like devices that preceded them. The next segment is a short history of drawing over the past 30 thousand years. Highly selective, simplified, abstract. 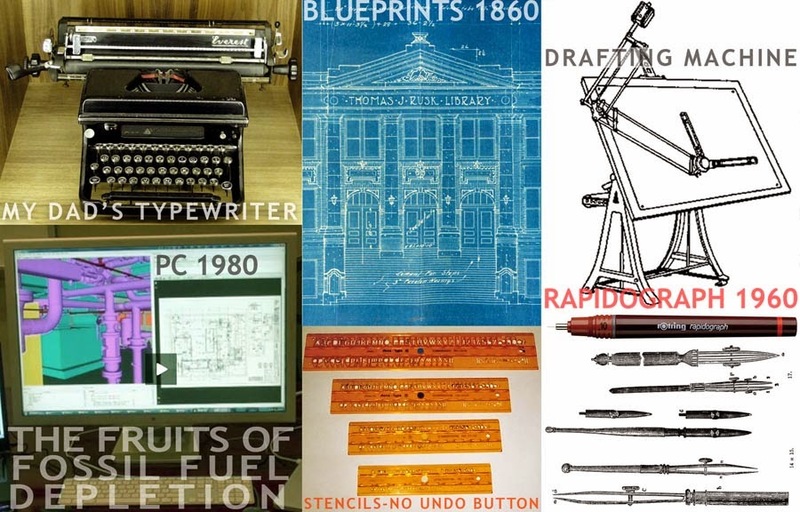 Here are some drawing technologies that have come and gone in my lifetime. I wasn't around in 1860, but I'm almost old enough to have witnessed the transition from blueprints to diazo. These are some of the oldest drawings we know about. They are about 5 times older than the oldest writing, so visual thinking is rather more fundamental to the human brain than verbal thinking. 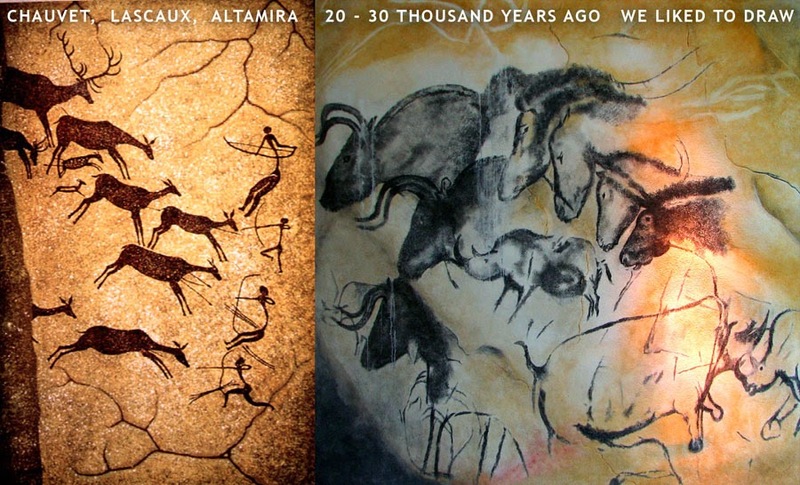 These are drawings from Lascaux & Altamira, Chauvet. We may think that we are much more advanced than cave men, but I challenge you to draw something that stands up alongside these remarkable images. We may not understand what they were for, but they were surely full of meaning and information content for the people that made them. So those were the oldest drawings we know of and this is some of the first writing. The drawings are five times as old. Visual thinking is much more ancient than verbal thought. 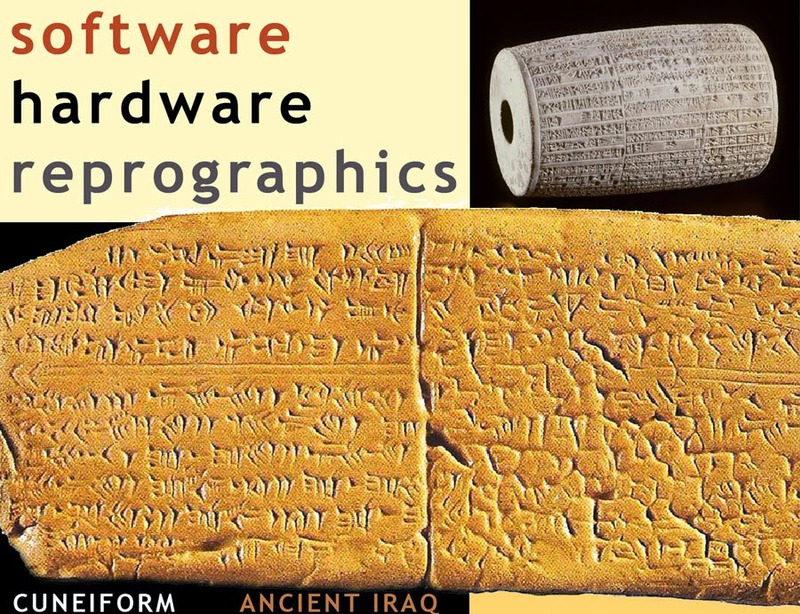 Here we have software, (the idea of symbols that represend sounds, syllables or words) hardware (clay tablet & stylus) reprographics (roll the cylinder over wet clay to make multiple copies) Nothing much has changed since the first cities turned up in Iraq. Here is some of the earliest writing. It's also a kind of visual thinking, and ultimately it will become the data in our BIM models, so it belongs in this historical overview. I'm introducting the idea of software, hardware & reprographics here. Sofware is the idea of symbols that represent sonds and words, hardware is the clay and the stylus, reprographics is a cylinder that is rolled over wet clay to create multiple copies. Nothing new under the sun-dried-clay. Short of time, so a huge leap forward in time now to the renaissance. 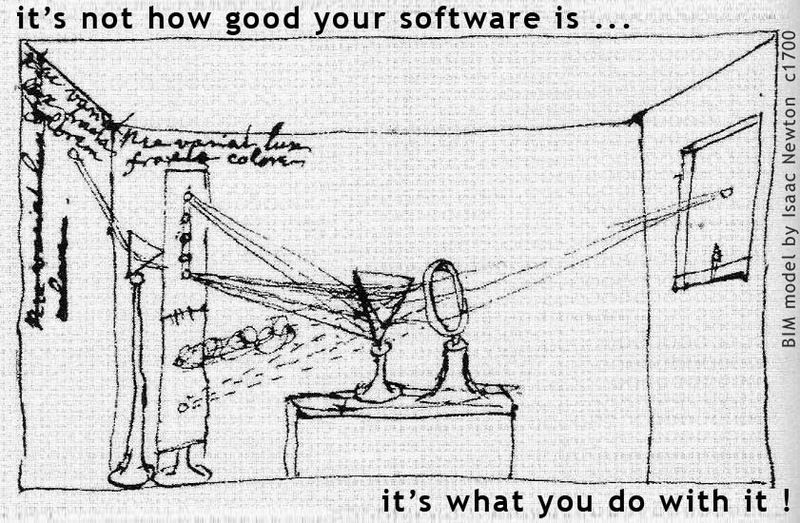 Theory of perspective is the software breakthrough, equally as important as the personal computer in my view, a huge conceptual leap. Hardware is represented by the device the artist is using to figure out how perspective works. We could also cite the scientific method under the software heading here: systematic gathering of data by the method shown to test out the theory of horizon lines and vanishing points. This drawing is by Albrecht Durer and it's actually a wood engraving. You can see the way he uses grooves cut into the wood to simulate the textures of different materials. Durer also made use of orthographic projection as shown in this fascinating study of the 3 dimensionality of a human foot. It almost looks like a recipe for a parametric digital model. An important point to note here is the way that drawing crosses the boundaries between art and science. 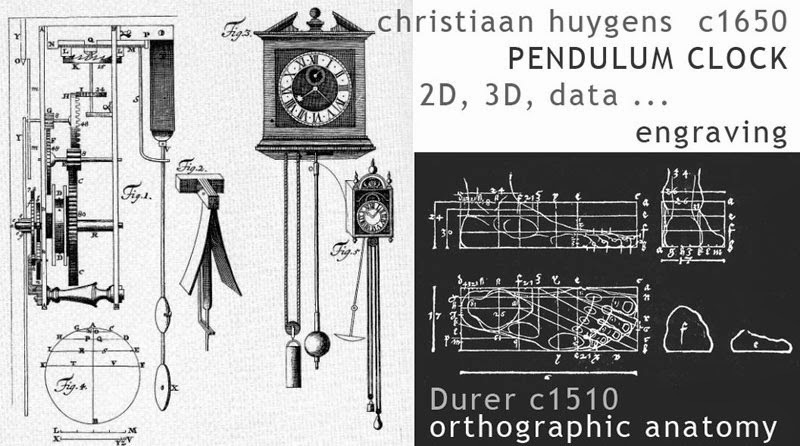 The pendulum clock also uses orthographic, but in combination with 3d projections and a fair amount of embedded data. This clock was a conceptual breakthrough that ranks high on the software scale and of course it became an item of hardware with a huge impact on peoples lives. 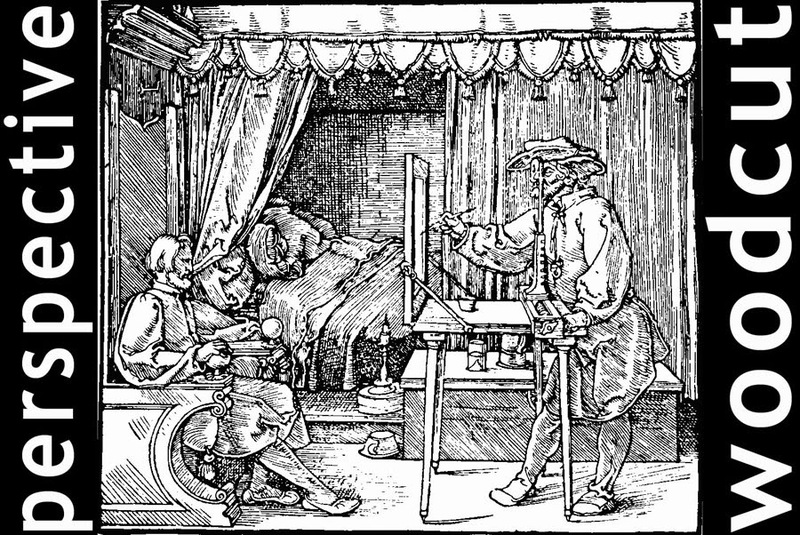 Just as the pendulum clock improved accuracy in timekeeping, copper plate engraving enabled a finer line in printmaking. It also opened up the possibility of acid etching. I'm going to break off there, and pick up the BIM pencil story again in another post. Recently I've been making some families for "traditional" Gulf architecture. I don't want to get too deep into a discussion of what is "correct" and "incorrect" when following a traditional style. Traditions are always works in progress, subject to change, influenced by other cultures. Societies are living, breathing, messy groupings that share certain things in common but also embrace conflicting forces. Here is a picture of the Shindaga district at the mouth of Dubai creek. It has been refurbished quite recently and not everyone will be happy with the way that has been done, but it gives an impression of some of the main qualities that we try to capture when working in the "local style". Streets are narrow and irregular, walls are rough plastered with mostly square niches. Roofs are flat, often acting as terraces with timber balustrades in places and drained by timber gargoyles. Rainfall is a rare event but can he quite heavy when it comes. Beneath the plaster, walls are often built from roughly coursed coral blocks. 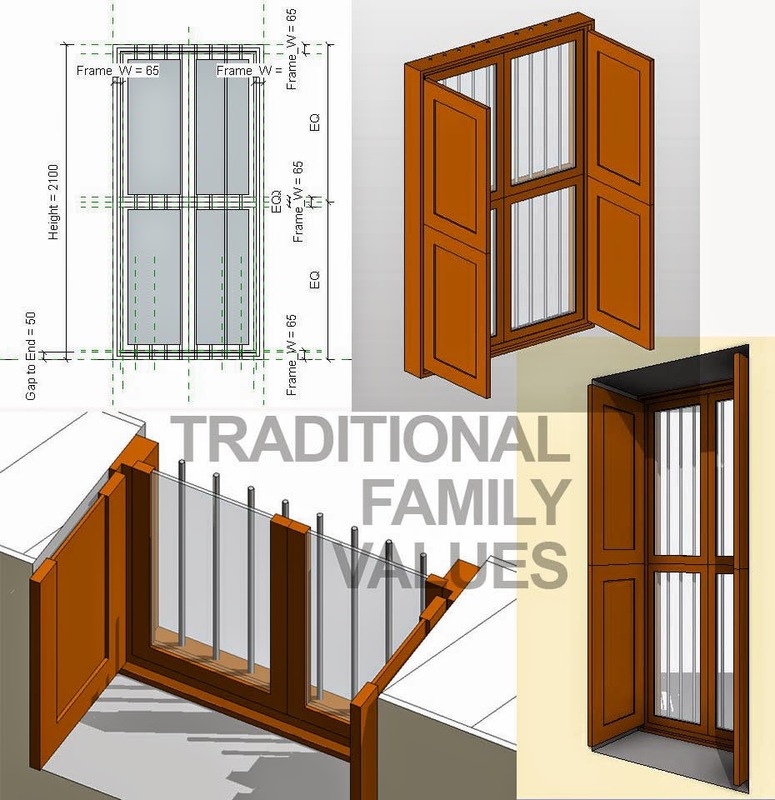 There are carved or moulded gypsum screens that offer a mix of privacy and air movement. The ones shown here are geometric, but floral designs are also common. The next picture illustrates the living, breathing mish-mash concept I posited earlier. 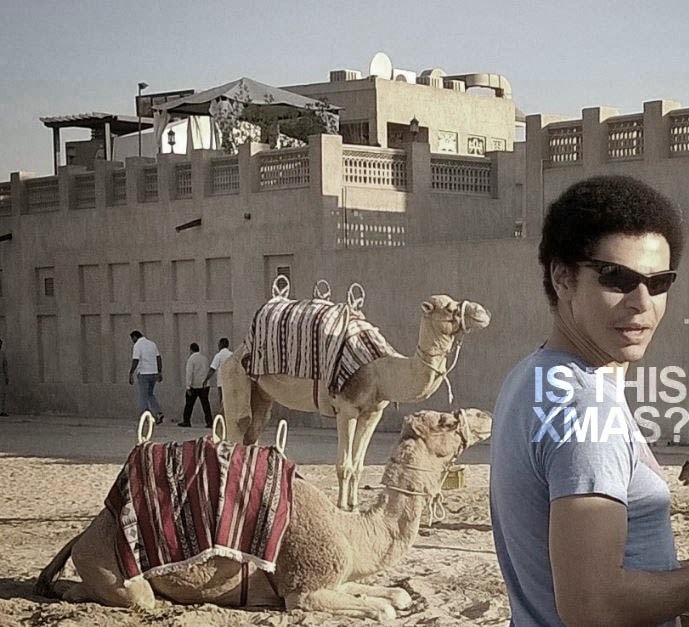 It was taken this christmas and that's my son Joe enjoying a break from the Austrian winter. The camels are laid on for the tourists and in the background you can see plastic water tanks, satelite dishes and air conditioning equipment: a typical Dubai roofscape. Windows were generally quite small, barred and shuttered, no glass. Today we have air conditioning so there will be a sheet of glass somewhere. 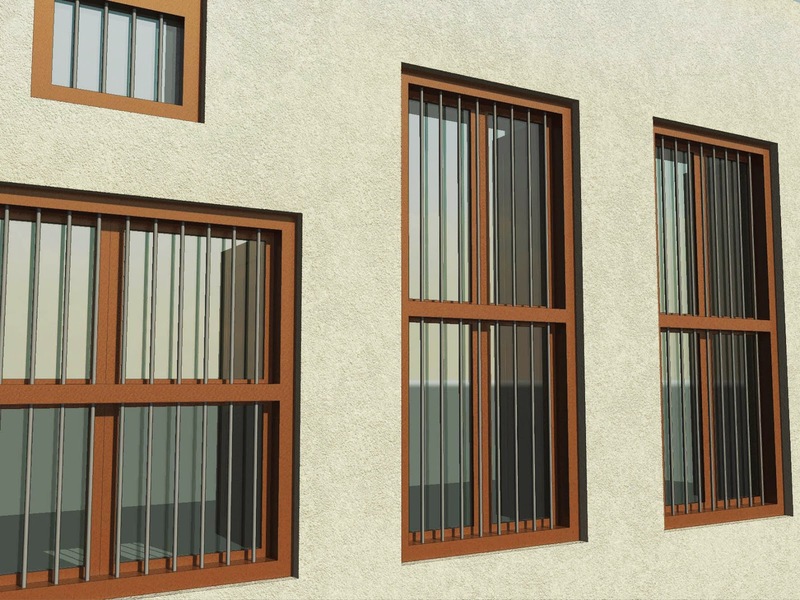 It's quite common to have a fixed pane between the shutters and the bars. We are considering having two sets of shutters, the first layer glazed, and the inner layer blank. The ones shown here don't yet have the inner shutters. 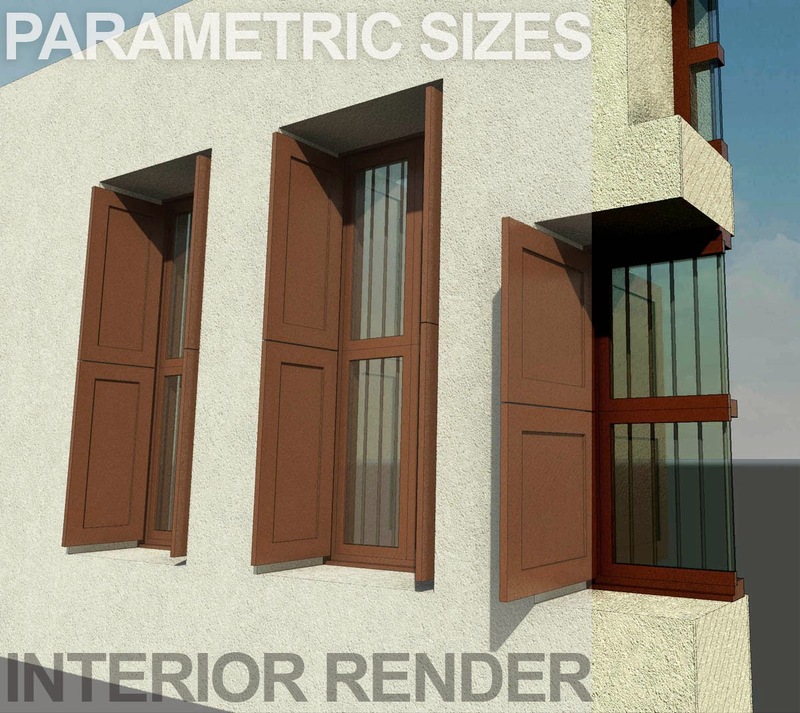 For a while I considered the possibility of a window family with multiple options for parametric recesses that can be swapped in and out. 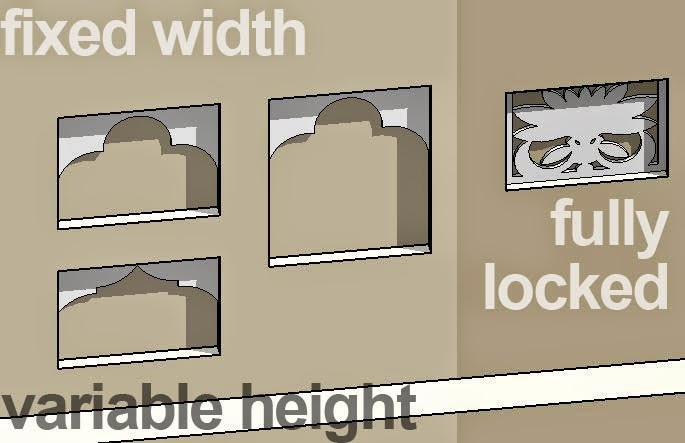 The advantage here is that the recesses would automatically move and resize with the windows. 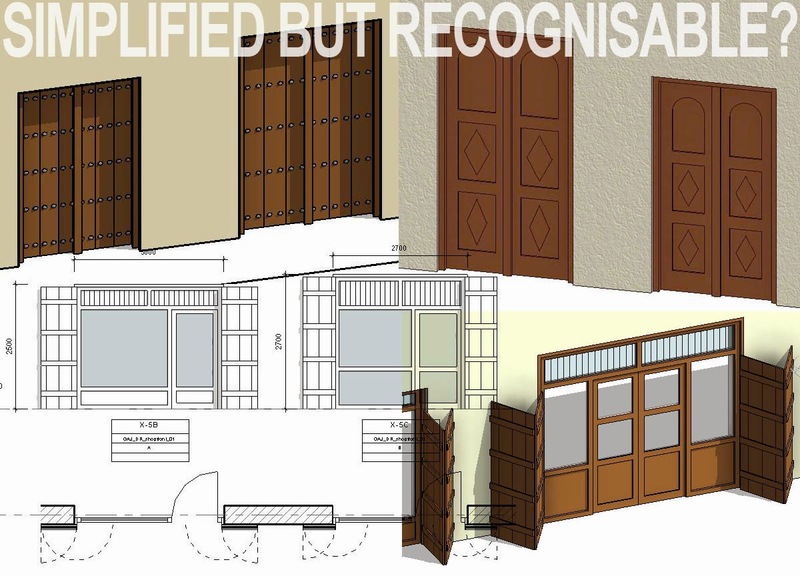 The disadvantages include daunting complexity for end users, a tendency for embedded detail to show up in plan views when not wanted, and most importantly the difficulty of scheduling the windows and recesses separately. Yes we could use shared families, but that would negate the linking of width parameters. Anyway I opted for separate families. Arabic doors can be very beautiful: chunky, richly carved and embellished with metal studs (nails really) One day I will model one of these in greater detail, but for a project we need simplified representations to keep model performance within reason while conveying the design intent and making the different types recognisable in an elevation. The basic concept features two leaves, inward opening, with a vertical bar attached to one leaf, forming a rebate. This is often notched & ornamented, even if the rest of the door is plain. While working on this post I added shutters to the window family. I've placed these in the open position, which is how they will normally be during the day. If I was doing this family for a historical study or educational exercise, I would consider having a choice of shutter position perhaps using instance visibility parameters. It would be nice to take a shot from the outside with the shutters closed. But for a fee earning project with some 50 buildings all linked to a central model ... I'm already worried about overmodelling. Better limit the file sizes, constraints & parameters. While we're talking practicalities, there is the question of how a detailed family will look in the General Arrangement plans. What do you show and what do you hide ? What appears in symbolic form ? Everyone will have different ideas, but in this case I have turned off the shutters and the glazed panels in plan views. The inward opening mechanism is show with dashed symbolic lines. Strictly speaking there should be two sets, but I think this would get far too busy, especially at 1:100. The next image zooms in on a section at 1:50. On the left the glass is turned on which results in a rather ugly thick black line. So I chose to switch the glass off in left/right views. 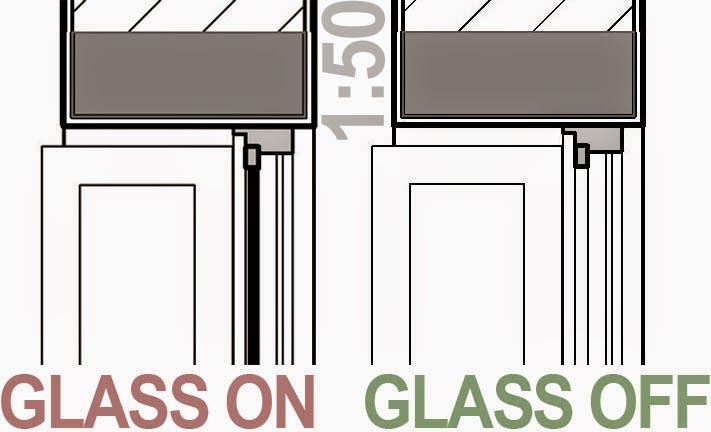 If we do callouts at 1:10 or 1:5 we will need to do some drafting over in any case, so we can pick up the glass with a detail item. Something rather strange cropped up while working on this family. I had never tried to activate a section box in family editor before. Strange behaviour. It works on nested components, but not on geometry made directly in the family. 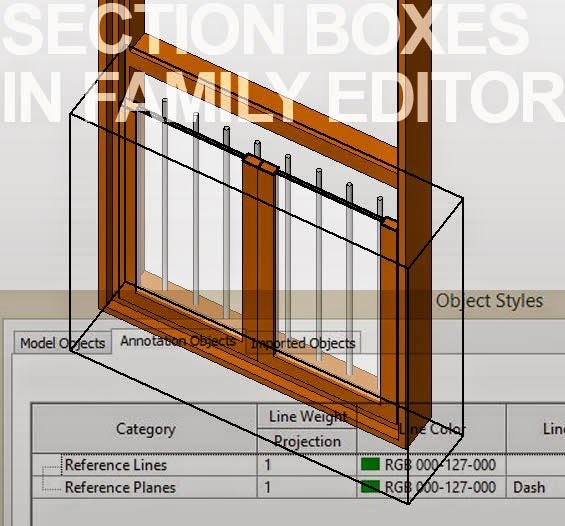 It does work on host walls (the placeholder walls within family editor) Also you may have noticed that object styles has very limited capabilities in family editor mode. You can't change the appearance of section boxes for example. Also they don't hide properly, which is to say that they don't hide at all, but remain stubbornly in the foreground. 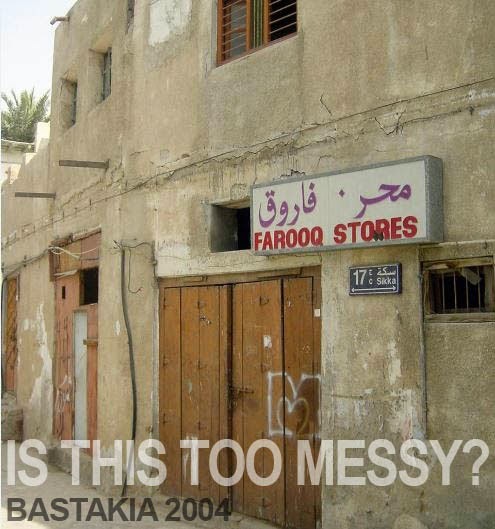 So we have an interesting window, updated from a type that was common in the gulf region in the late nineteenth and early twentieth centuries. I'm not sure if it goes back further than that, possibly. 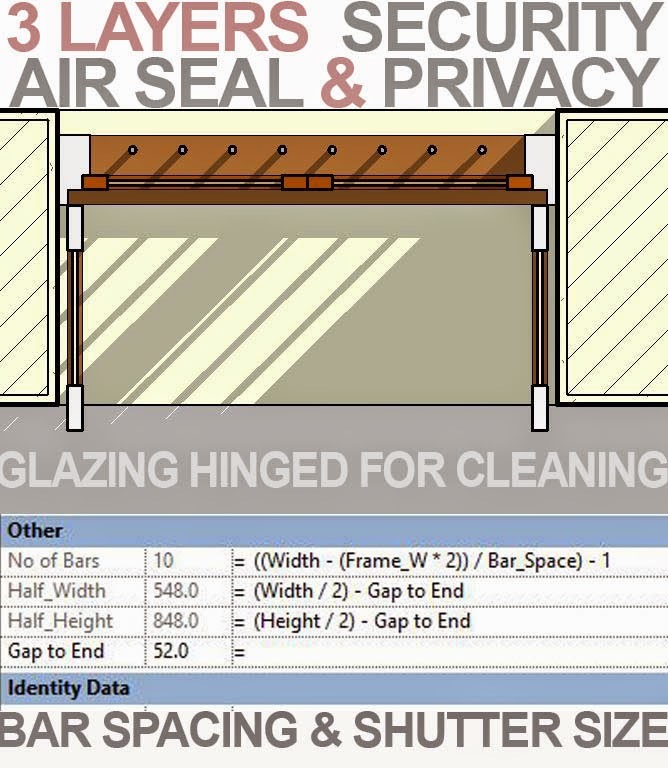 There are three distinct layers dealing with security, air seal & privacy respectively. The air seal layer is a modern innovation. "Traditionally" if you wanted an air seal (unlikely without A/C) you had to forego light and vision also. I would very much like to take this study one level deeper and put it into the context of traditional wall and roof construction, show the oil lamps that hung between the windows internally. Time is the eternal enemy. But I do have the beginnings of a techno-historical exploration to stand alongside my previous work on timber sliding sashes and standard steel windows. It would also be nice to look at some other aspects of Gulf Architecture, the well known Wind Towers, the occasional use of elaborate decorative arches & corbels, the ceiling treatments and timber gargoyles. 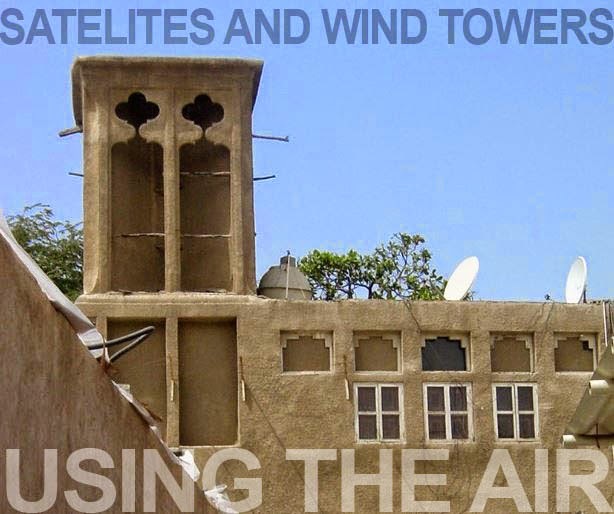 These days there are far more fake wind towers than real ones, I'm not sure if there are any that are truly operational in inhabited buildings. It would take a brave soul to do without air-conditioning in this climate. 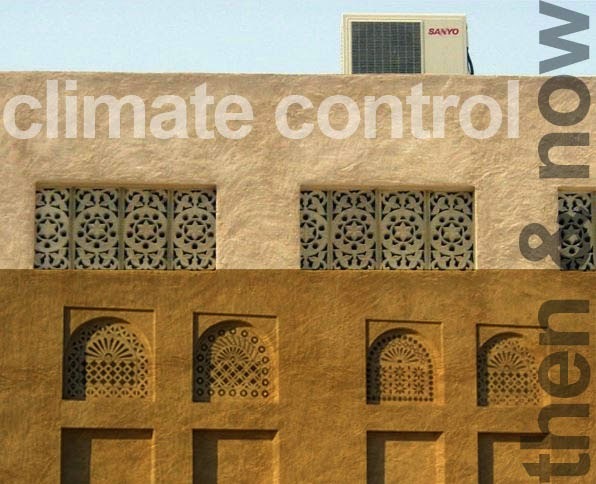 Perhaps they could come back as devices to bring cooling breezes to external terraces during the hot season. Would make a nice change from the electric fans you see sometimes at pavement cafes. In the information age the air has become a medium for electronic communication. In Dubai we live in the fast lane. We drive too fast, we crave the latest toys, we wish to be the biggest and the best, we consume too much. I guess the same can be said of North America and much of Europe. We speak of underdeveloped countries, but rarely of overdeveloped societies, and yet we also yearn for simpler times, for the real, the honest and the natural. We feel that we have lost something elusive that can be glimpsed in old buildings and vacations to exotic, "untouched" regions. Perhaps we have put too much faith in "progress".